Sometimes we can get so unhealthy, it feels as if our bodies are turning on us and attacking us. 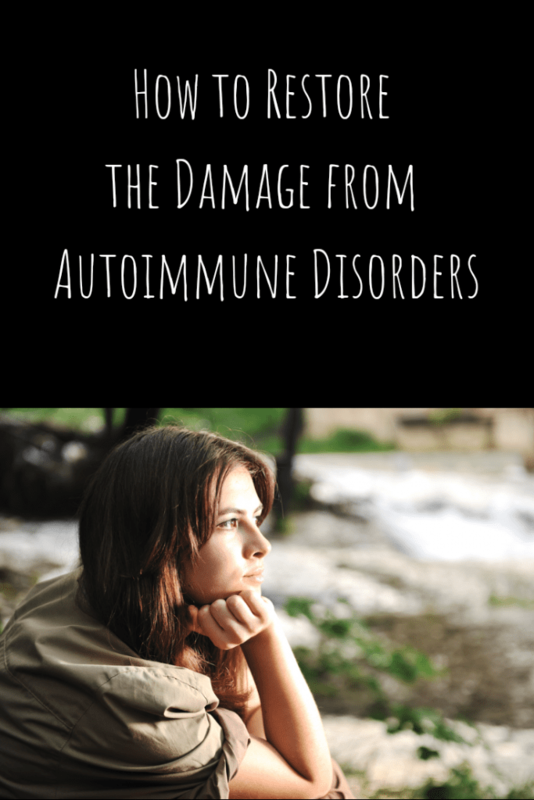 This can, and literally does, happen—and it’s called autoimmunity. There are so many things that can contribute to autoimmunity. Genetics is one factor—if people have relatives with autoimmune disorders, their chances of developing one too increases compared to those who don’t. But even this main cause for autoimmunity lies dormant, only rearing its ugly head when certain foods, habits, patterns, and events unfold to chip away at immunity. The best way to support autoimmunity, beyond mainstream pharmaceuticals, is a collective effort to improve immunity holistically and naturally. Studies suggest that improving habits, cleaning up the diet, and even enlisting benefits from autoimmune-supportive mushrooms and herbs may help. Autoimmunity means “self-immunity.” It’s a general state of health the body comes to that can in turn lead to the development of serious diseases. Basically, autoimmunity means there is an unhealthy imbalance in the body where the immune system is mistakenly attacking the body’s own tissues. As a result, chronic inflammation develops—and this inflammation over time is quite harmful. 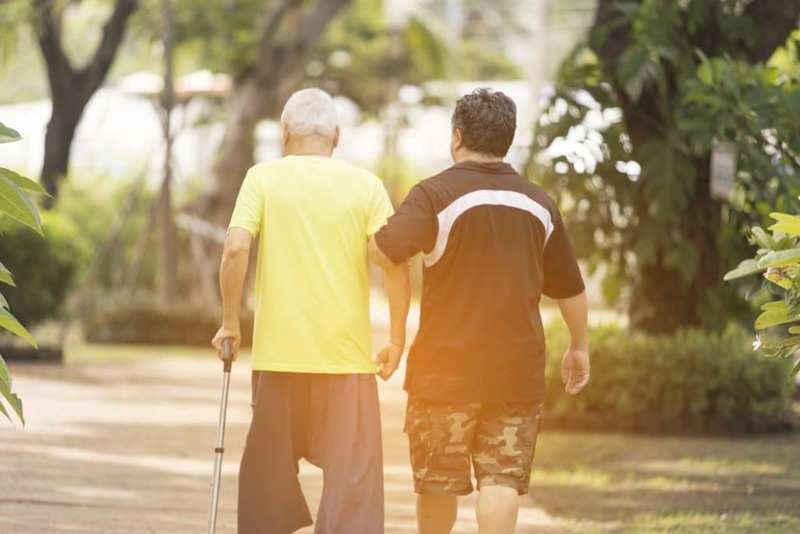 Depending on the person, autoimmunity may target certain tissues or organs, causing imbalance, pain, and dysfunction wherever it is established. Research is still unclear what precisely causes autoimmunity, but it is thought that it develops due to a medley of different factors. These factors even tend to differ from person to person. No matter how the inflammation from autoimmunity is caused or the nature of the autoimmune disease, the natural world is full of potential solutions that could help. And of these, the best are herbs and mushrooms used to restore balance to health for thousands of years. Science is showing that some botanicals may even assist the body towards reaching a healthier state against autoimmunity. They may also directly reduce the inflammation it causes, or even help the immune system directly and holistically to stop attacking itself. Below are some herbs and mushrooms that number among the best-researched for autoimmunity. Ashwagandha is perhaps the most famous herb to come out of India as the star of Ayurvedic food and herbal healing. 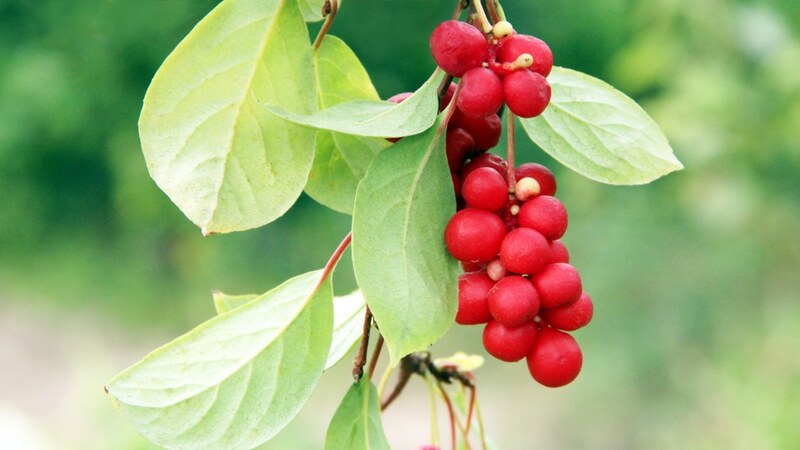 It’s long been used as an overall tonic, immune booster, and healer for reproductive dysfunction and fertility. Yet studies show it could also be of great benefit to autoimmunity as well. Studies like this one in 2014 found antioxidant-rich ashwagandha root extract could help the pain and inflammation caused by oxidative stress related to autoimmunity, particularly in rheumatoid arthritis. A study later in 2015 found similar benefits with rheumatoid arthritis. Then again in a 2018 study, it appeared that ashwagandha helped hypothyroidism—which is commonly caused by autoimmunity—in a similar way. As an amazing immune support herb, ashwagandha may just be one of the top choices for curbing autoimmunity. Ever heard of the herb astragalus? It’s a close relative to beans, peas, and another immune herb, licorice root. But even more successfully than these relatives, astragalus has a unique, balancing impact on immunity. This has led to it being a common fighter against viruses like colds and flu. As for autoimmunity, studies show that astragalus is certainly no slouch. 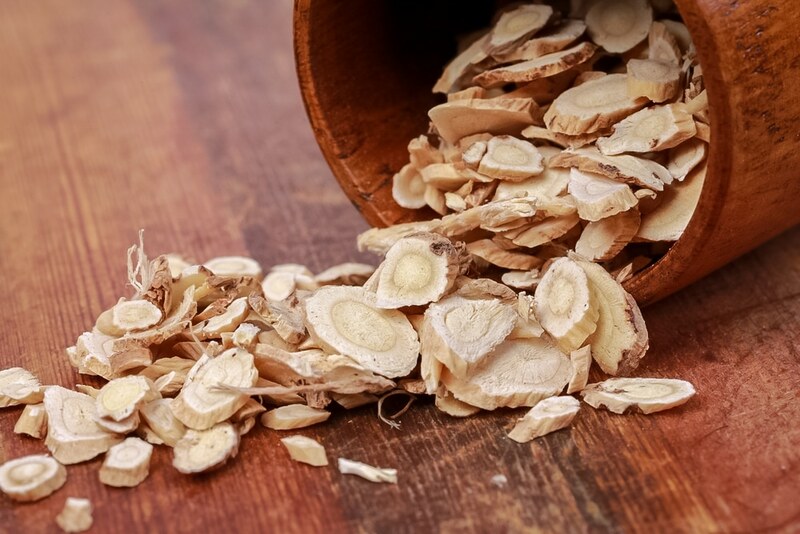 A 2017 trial found that, when combined with ginseng, astragalus boosted T cells in the body that helped regulate the immune system in a better, healthier way in patients with type 1 (autoimmune) diabetes. This, in turn, suppressed autoimmune activity. Another study in 2017 revealed similar benefits for rheumatoid arthritis, much like ashwagandha. As a relatively widespread and popular immune herb, astragalus is a great part of one’s lineup for healing autoimmunity. The root of the prickly burdock plant has been popular in herbalist traditions in America, Europe, and Asia. It’s even a tasty culinary root in some Asian cuisines. Beyond latching its burrs onto clothing, it carries with it some very desirable immune qualities. Some among them have even ranged into the realms of liver protection and health as well as helping allergies, both of which are immune-based problems. It’s also known as a natural detoxification herb. In a 2015 study on arctigenin, a burdock compound, some very promising autoimmune-suppressing activity in the plant was discovered. A 2013 study also found that, along with other herbs, it could be helpful for alopecia, an autoimmune disorder related to hair loss. For autoimmunity, this makes burdock yet another important botanical to have on one’s side. Chaga is one gold nugget of a mushroom—and it even looks just like a golden nugget. Far be it from the price of pure gold, chaga is a widely available wild tonic that’s been used in northern alpine regions for thousands of years. It was crushed into powder and made into a coffee-like beverage. Beyond boosting immunity, chaga mushroom specifically appears to balance it as an immunomodulator. This is essential to any herb or therapy helping autoimmunity. This was discussed in a 2017 review of chaga. What’s more, research suggests that the healing fungus may have more specific affinity to autoimmune disorders of the gut by being able to strengthen intestinal immunity. This was also suggested in a 2012 study, where chaga suppressed inflammation in the intestine due to colitis. A favorite mushroom among wildcrafters and foragers, maitake is also known as hen of the woods. It’s one of the most popular therapeutic mushrooms in Asia as well. Maitake, along with other mushrooms, is known for being rich in polysaccharides, and particularly beta glucans which are shown by research to have startling immune and autoimmune capabilities. According to research in 2015, these beta glucans show an innate ability to help the immune system naturally modulate—or “balance”—itself. That is, it helps immunity act naturally and powerfully, but without the drawback of attacking itself. Similar findings of fungal-sourced beta glucans were made in this 2013 review. Maitake may be one of the most beta glucan-rich mushrooms known. Therefore, it’s a hopeful alternative treatment for autoimmune conditions someday—though more research will be needed. Fewer medicinal mushrooms of old have gained as much favor as the regal reishi. While maitake is better known for immune-boosting and some immune-balancing, reishi is proven a better mushroom for autoimmunity by being the most immunomodulating of all mushrooms. Research has caught on to this, too. A 2015 research publication explored reishi’s hopeful role in the future of treatment for natural autoimmune diseases of all kinds. Yet another 2014 study examined reishi’s wonderful autoimmune benefits, even noting its ability to suppress all kinds of inflammation—including inflammation due to immune or allergic responses. But it doesn’t end there. A 2017 study revealed reishi could have combined neuroprotective and autoimmune effects. This makes reishi a protector against autoimmune inflammation in nerves, which thus improves memory, learning, and focus as a plus. In the fight against autoimmunity—as well as reducing the risk of its development—herbs and mushrooms can be pivotal allies. But without the addition of diet and lifestyle changes, people may not get as much mileage out of these immune boosters as they’d like. For this reason, it’s essential to build a good foundation of empowered eating, activity, and overall living so that the benefits of autoimmune herbs and mushrooms can be adequately supported—and can go the extra mile. Here are some of the best natural steps one can take in one’s own life, in addition to one’s doctor recommendations. One of the leading causes of chronic inflammation comes from diet. Fortunately, this can be combated with an anti-inflammatory diet filled with inflammation-fighting foods and herbs. Nutrient dense foods of all kinds, for example, tend to be high in antioxidants. Antioxidants from these foods—and not just from healing herbs—fight autoimmunity to some extent by reducing chronic inflammation. Foods rich in dietary fiber or resistant starches are also practically designed to boost intestinal immunity. They relieve autoimmune inflammation thereby letting microflora flourish. Keep in mind: anti-inflammatory diets look different for everyone and vary from autoimmune illness to illness. Identifying personal trigger or allergy foods helps too, which will also vary from person to person. On the subject of trigger foods or potential food allergies, keeping away from foods well-known for being inflammatory is always a smart move. This could mean steering completely clear of sugar and processed foods which are known to be downright bad for anyone with or without autoimmunity. Generally speaking too, replacing bad fats with good fats is beneficial—good fats can alleviate inflammation. So is avoiding carbohydrates and gluten, the latter especially known to spike autoimmunity, some studies suggest. Again, everyone’s triggers will likely be different. Very unique food allergies have often been connected to the development of autoimmunity in some people, which could make the idea of developing one’s own nutrigenomic diet very appealing. When it comes to avoiding things that cause inflammation, simply skirting inflammatory foods alone isn’t enough. That’s because there’s plenty of other substances we consume that may cause inflammation. This includes pharmaceuticals, alcohol, and cigarettes that cause even worse inflammation—and which could stoke the fires of autoimmunity. As such, to avoid autoimmunity or making it worse, make sure to quit smoking or the use of these other substances—or at least attempt to cut down on them. And yet there are even more dangers to immunity from other substances we don’t even consume, let alone see or notice. This could include blue light and even EMF’s from wireless devices, which appear to oxidative stress-like effects. Research shows that deep, restorative sleep is essential to normal immunity. It may even be one of the biggest reasons we need it all in the first place: it resets the immune system every night, all so we can face a new fight tomorrow against all the pathogens, toxins, and inflammation we encounter in the everyday world. Studies also show that inadequate, low-quality sleep can increase one’s autoimmunity risk and make one more vulnerable to autoimmune disease. So, for the sake of one’s health and immune system, make sure to do all that can be done to catch some quality Zzz’s every night, which is not such a difficult task with the right approaches. As with sleep, one’s emotional and psychological state can be a driver of poor immunity. It could even be another cause that feeds into autoimmunity, too. Depression has been connected to autoimmunity in studies, as well as stress and anxiety in others. Though this association needs more research to be fully understood, it stands to be said that managing anxiety as well as taming stress and depression could help the immune system, and thus lower autoimmune risk. It’s also well established that excessive production of cortisol—the stress hormone, which can be the result of too much stress, anxiety, and depression— may lead to poor immunity via stress burnout, also known as adrenal fatigue. There couldn’t be a simpler, more direct, or more effective way to remedy or reduce the risk of autoimmunity. Taking care of one’s immune system will always be the best step to managing or slashing down the risk of autoimmunity. Many of the above approaches are each just stepping stones on a bigger path towards boosting overall immunity. Paired with other health-boosting ideologies, such as taking care of one’s mitochondria or promoting autophagy, healing and forestalling autoimmunity can happen at practically every level in the body. Together, these autoimmune-supportive approaches may be enhanced by the immune herbs and mushrooms listed earlier in this article. 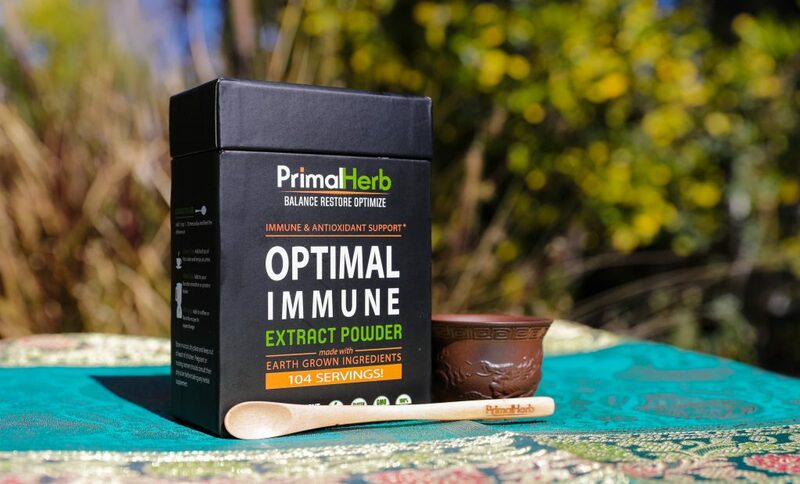 Each of these are also proudly selected ingredients in our Optimal Immune supplement formula, along with digestion-boosting black pepper extract.